Blog | What Is Dryer Vent Cleaning? If you are like most homeowners, you have several appliances in your home that you take care of and maintain. While you may periodically clean your microwave and your stove, you may forget about your clothes dryer and its vent system. Like any of the appliances in your household, proper care will help extend its life. 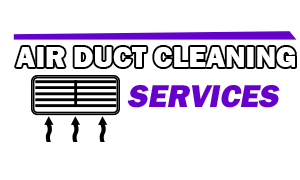 The majority of dryer vent cleaning companies in West Hollywood recommend that the process be done at least once per year. Why Does It Need Cleaned? The drying process is pretty simple. Your clothes are tumbled in the machine in hot air. The wet air is vented outside. Any particles like pet hair will be caught by the lint trap. However, over time some of that lint will get past the trap and find a home in the vent. Excessive buildup will cause the machine to run harder, which can cause overheating. A machine that runs hotter has a greater chance of starting a fire, something that is far too common. Dryer Vent cleaning will need to be done when you notice that your machine is taking longer to dry a normal load of clothes. If you pull the clothes out of the dryer after a complete cycle and they are still damp, it is probably time for a cleaning. When a load that normally takes 20 minutes to dry is taking 40 minutes, there must be some excess lint or debris built up inside the vent. It is time to have it cleaned. 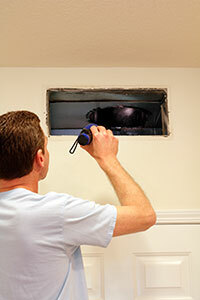 Professional Dryer vent cleaning can usually be completed within an hour. It will depend on a couple things like how long your vent is and its shape. The more curves and turns that it has, the more buildup is likely and the longer it will take to clean. It is important to have the process done once a year. This will ensure that your machine runs efficiently. An efficient machine will save time and money. It will also help to prevent any fires related to your dryer from happening as well as extend the life of your machine.